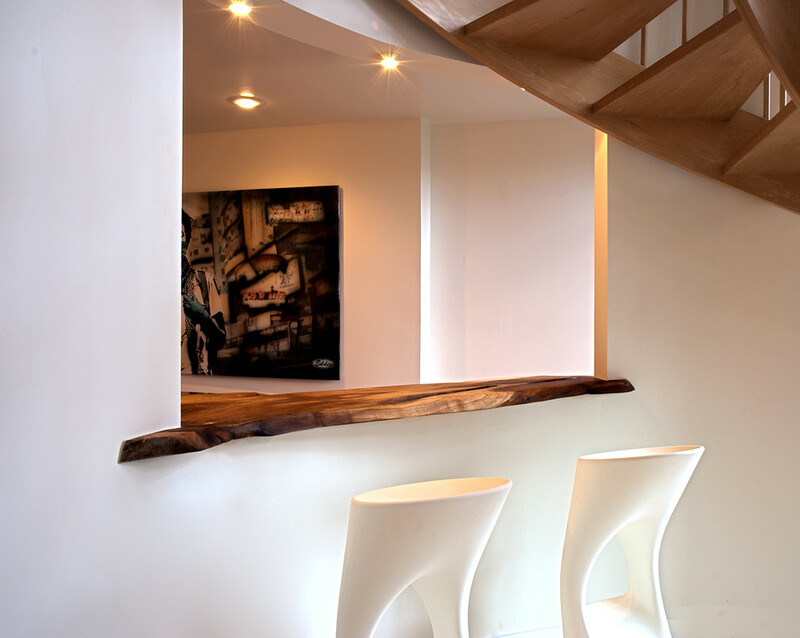 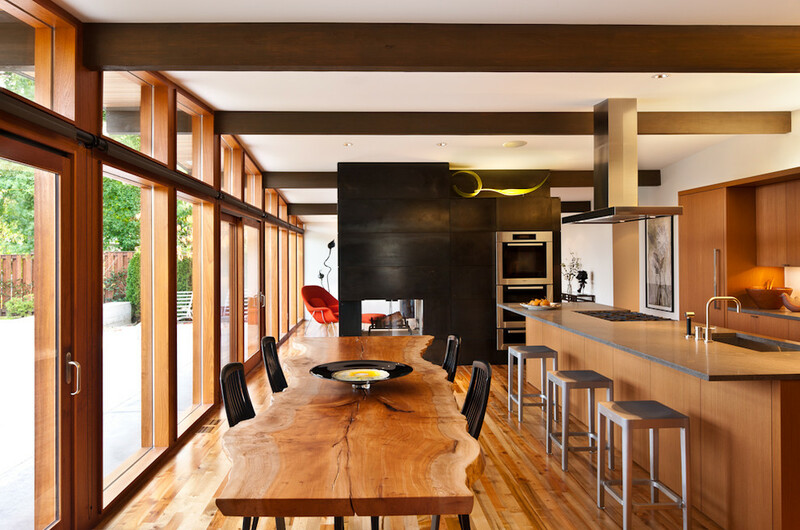 Looking for that perfect antidote to the sleek, streamlined, stark uniformity of modern decor? 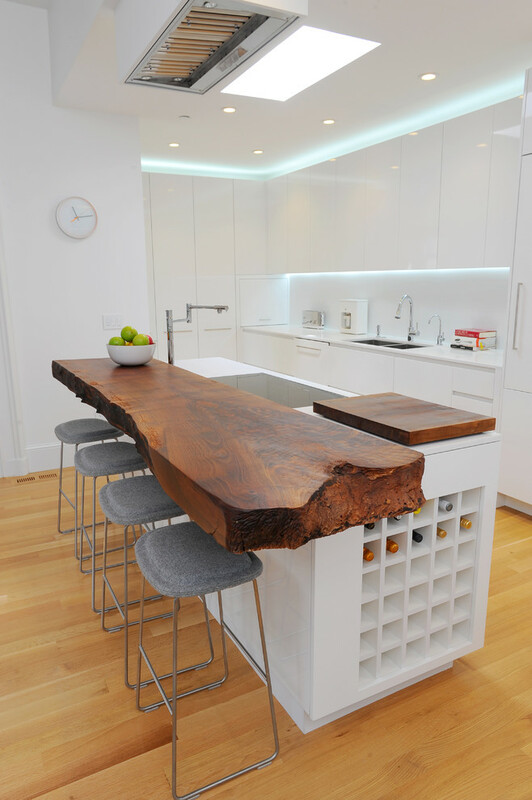 Here it is (drumroll…): it’s live edge wood! 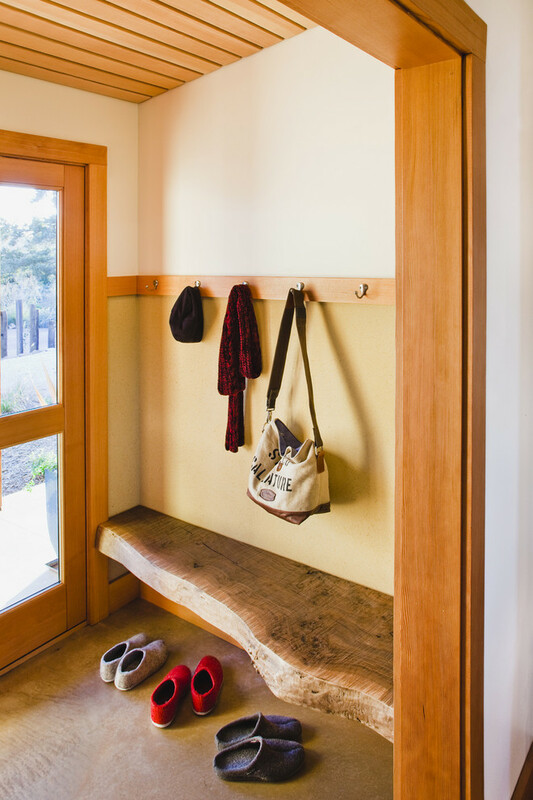 You only need a little bit of it to add instant charm, warmth, and nature to your bordering-on-cold modern room. 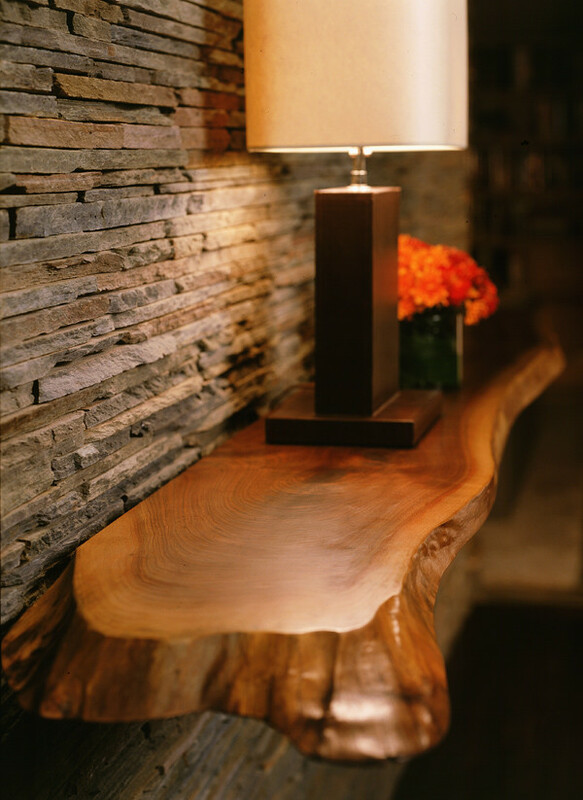 Live edge wood is a slab of wood in a near-natural state, with an irregular edge and pronounced grain. 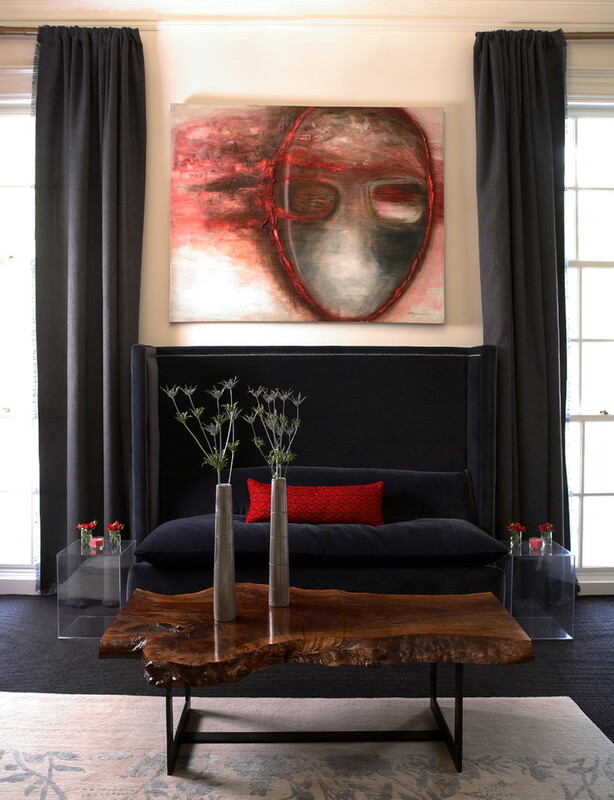 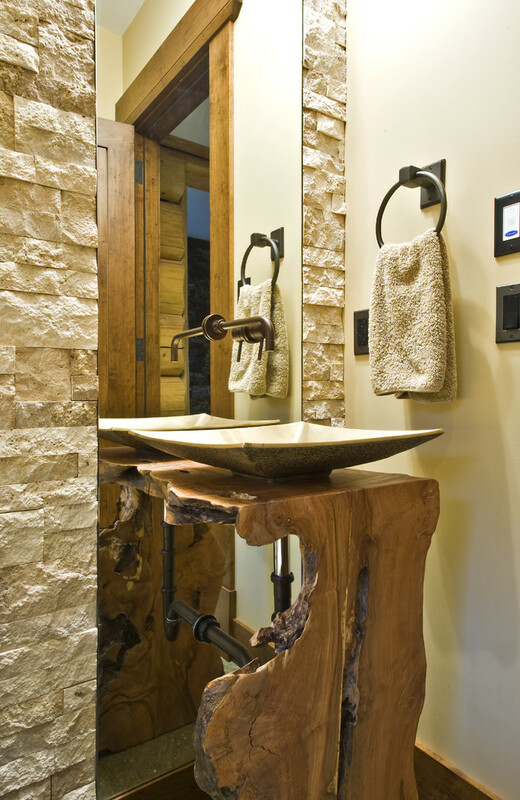 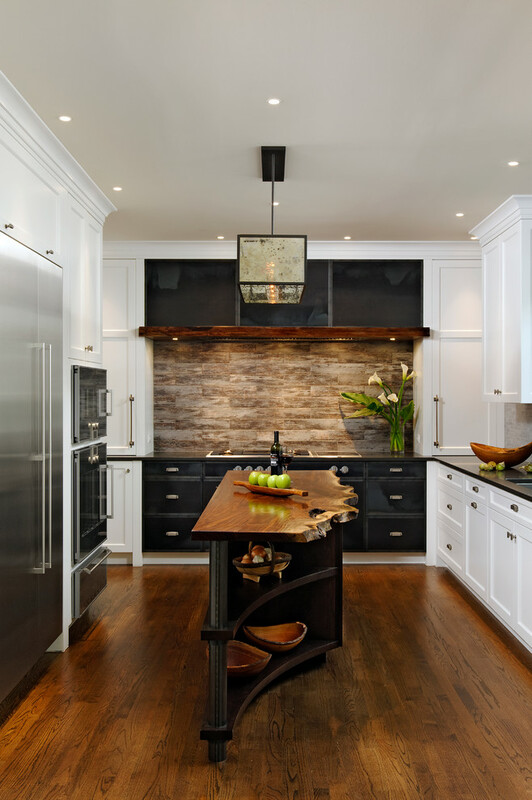 Typically made of salvaged trees, live edge wood complements every decor style – it softens modern and contemporary edges, enhances rustic design, warms up industrial furnishings, and adds an element of surprise to traditional decor. 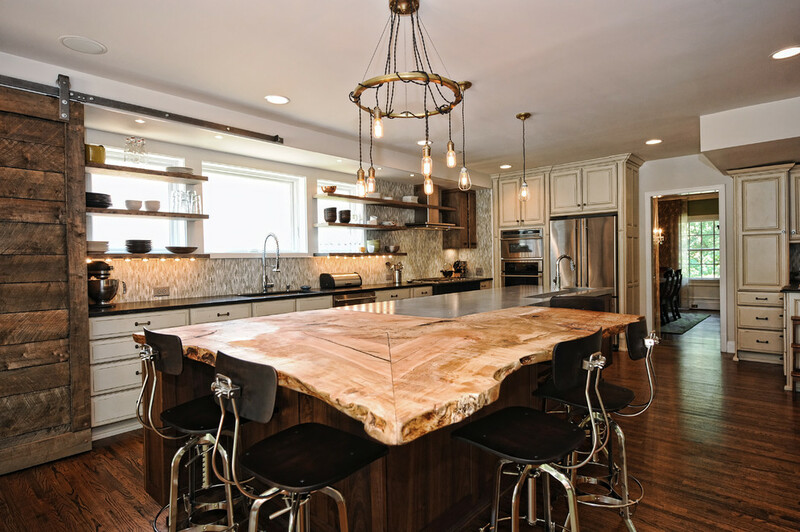 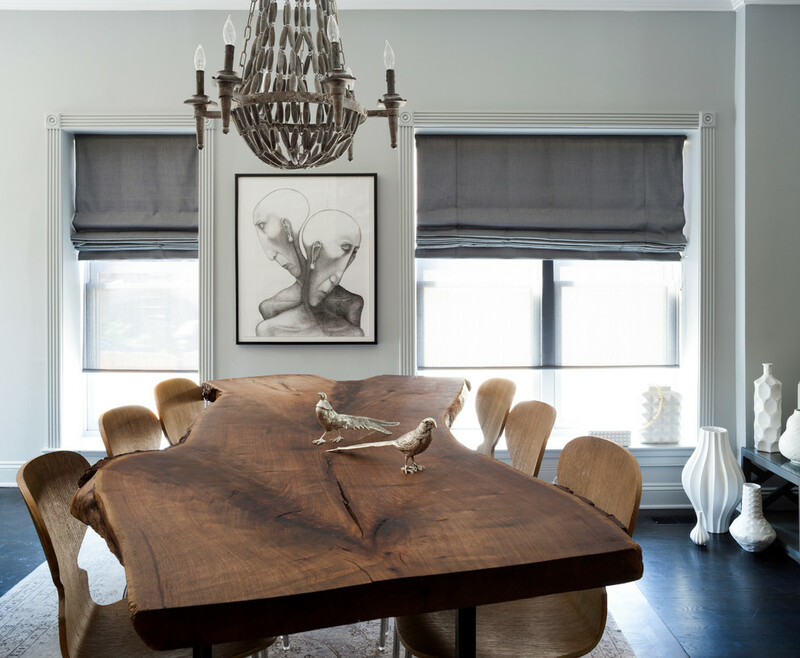 You can put live edge wood on countertops, furniture, or even flooring to create a unique – but not too out-there – design in every room of the house. 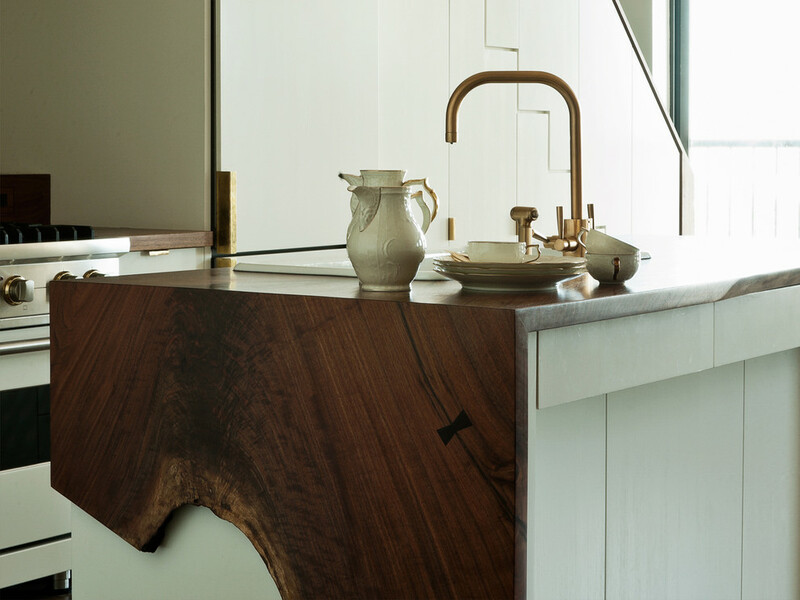 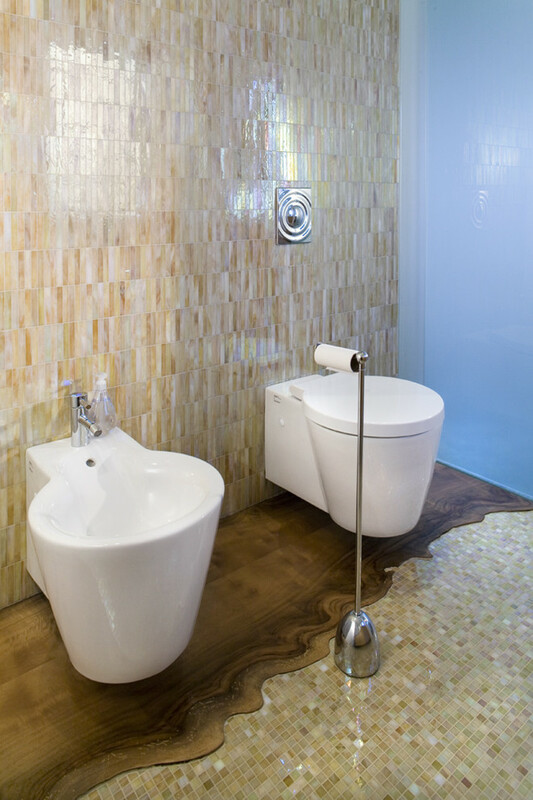 Any size, any thickness, subtle to showstopping, there’s a place for it in every home! 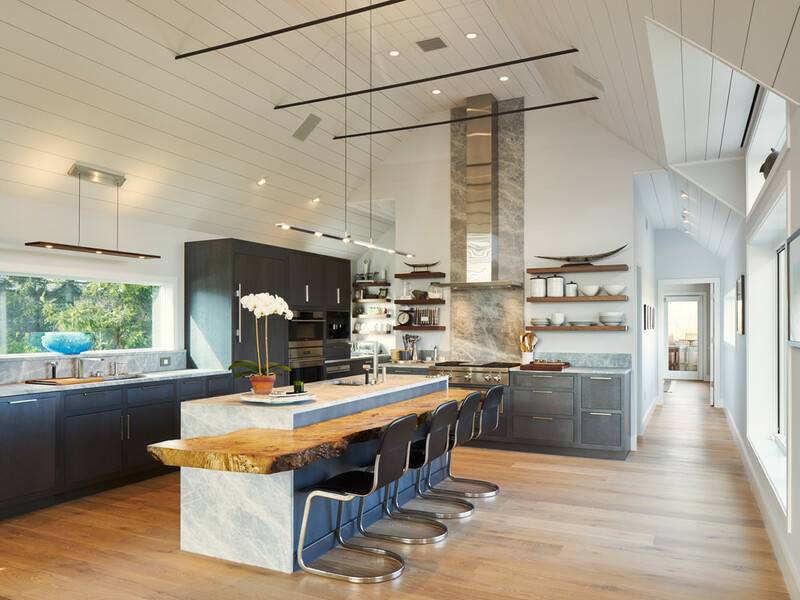 Kitchen by Hopedale Builders, Inc. 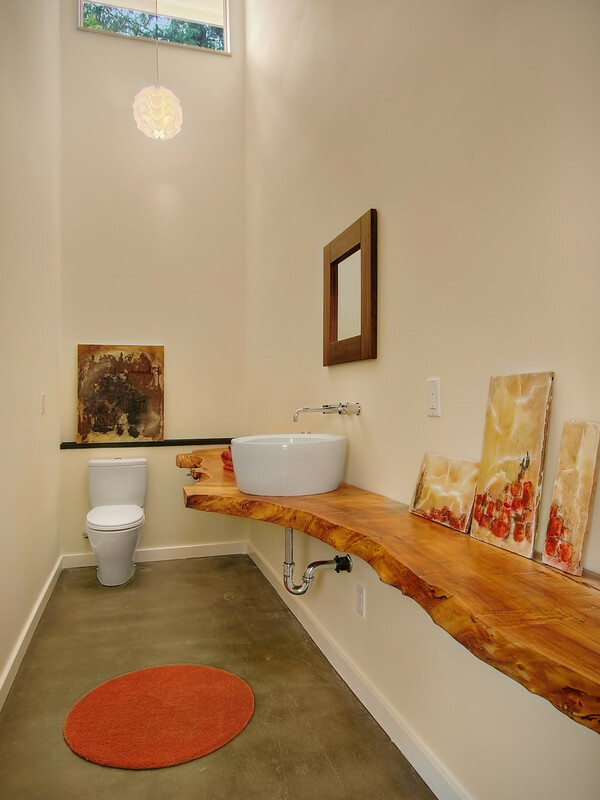 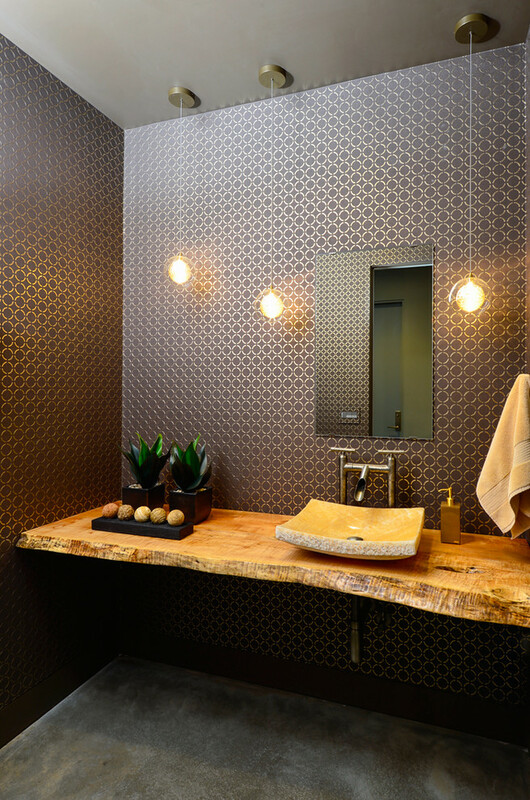 Kitchen by Doran Construction and Design, Inc.
Bathroom by Sticks and Stones Design Group inc.
Or spruce up (excuse the pun) any room in the house with a live edge table, shelf, bench, desk, or even door! 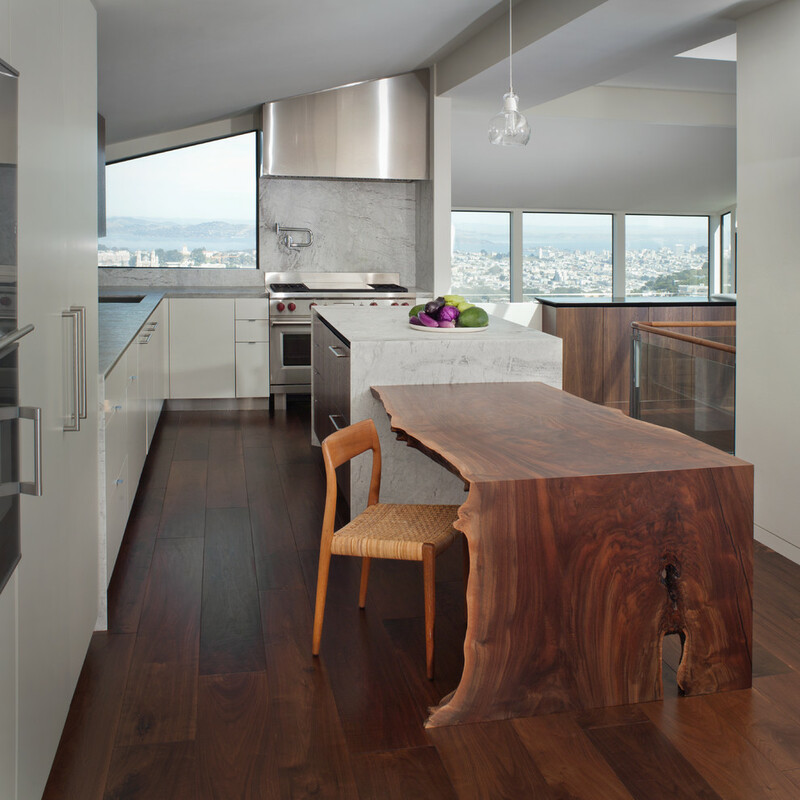 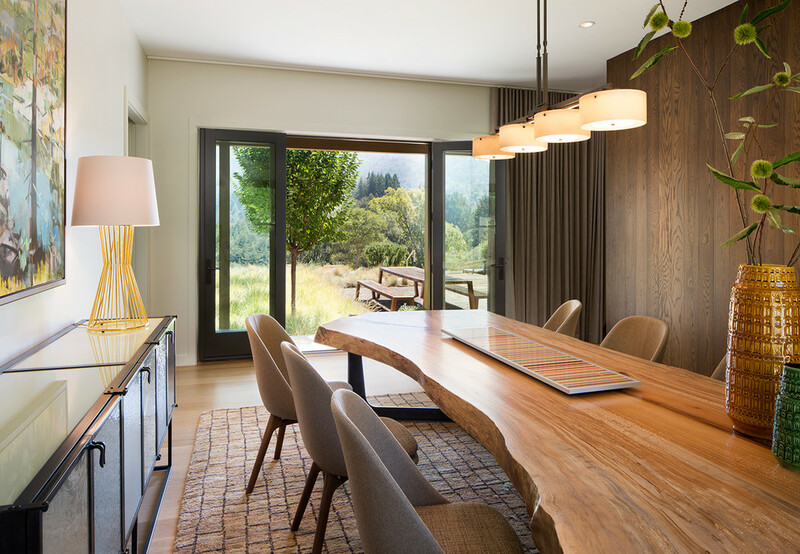 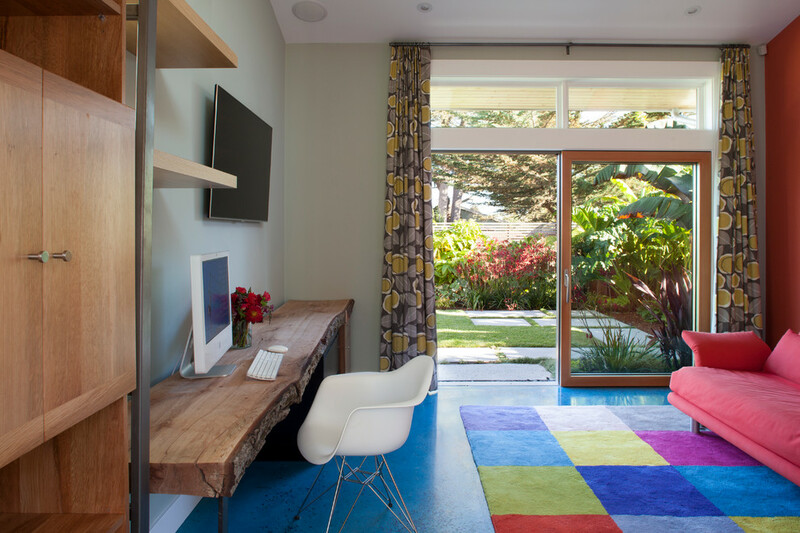 Home Office by Feldman Architecture, Inc.
Where would you put live edge wood?